Mohamed Salah will return to Merseyside to rest after sustaining a muscle injury whilst on duty for Egypt on Friday evening. The Liverpool forward raised concerns when he was hauled off late on as his nation beat Swaziland 4-1 in their African Cup of Nations qualifier. Salah’s early withdrawal in Cairo arrived after he had scored directly from a corner – something a training video had captured him practising. He will now miss Tuesday’s return clash and instead fly back to Liverpool in view of preserving his fitness ahead of a key winter period. It remains to be seen whether he will be fit to feature when the Reds resume their Premier League campaign against Huddersfield on Saturday. 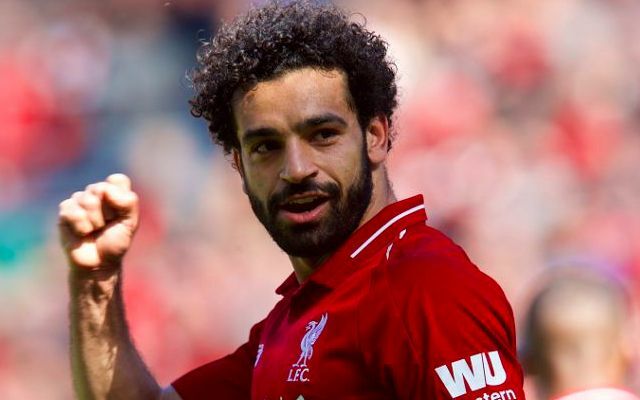 Salah may well have already been one in line for a rest at the John Smith’s Stadium, with Klopp expected to rotate his team on the back of a fatigued display against Manchester City. The 26-year-old wasn’t alone in tiring against the champions after enduring a tough night in the midweek defeat away to Napoli in the Champions League. His absence would likely see Xherdan Shaqiri slot into the starting lineup having been limited to just 191 minutes across all competitions so far this season. Daniel Sturridge is another obvious option to start against the struggling Terriers in light of his impressive start to the campaign.